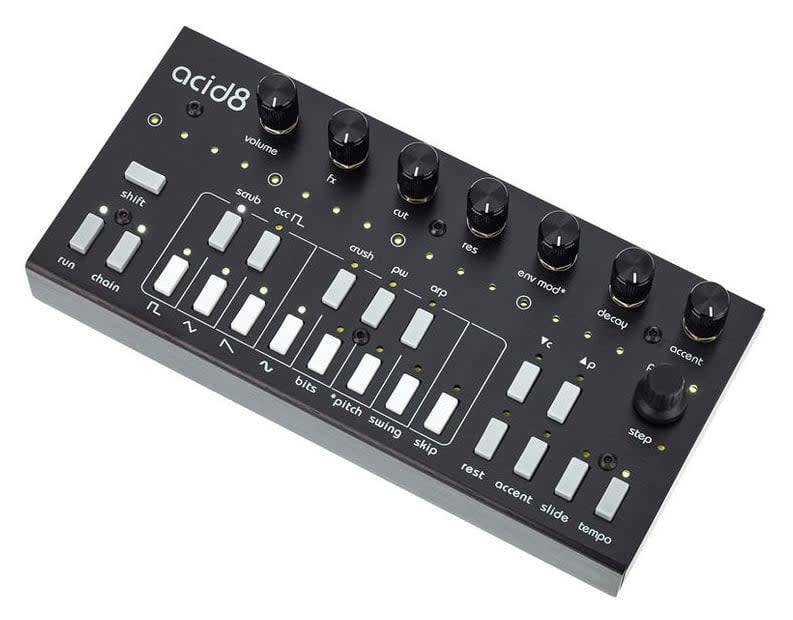 Acid8 is a fun and easy to use hybrid digital/analog acid machine controlled by a powerful step sequencer. The heart of Acid8 is an 8-BIT oscillator that can be manipulated to the extreme. You have 16 waveforms to choose from and can even redraw your own! You can apply up to 5 dsp effects at once, invert bits of the digital signal for weird harmonics and effects, link the env mod to pitch for percussive sounds and more. All signal beyond the oscillator is 100% analog offering a punchy VCA and gritty resonant low pass filter. 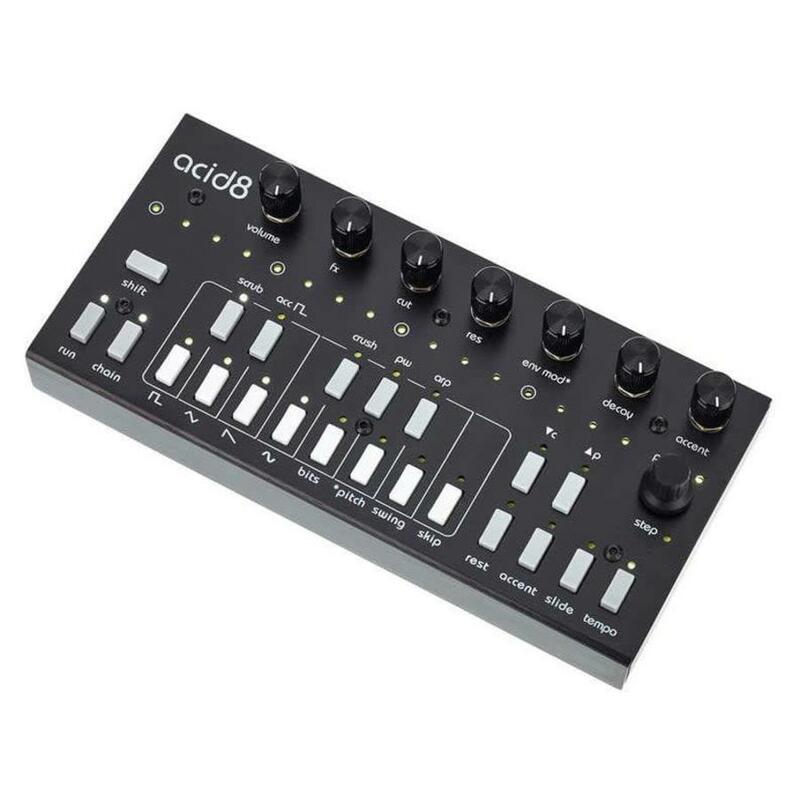 The built-in step sequencer has all the functionality you would expect from an acid machine and is very easy to use so you'll be composing patterns effortlessly. Edit, copy/paste & randomize patterns in real-time without having to stop the sequencer. 8 levels of swing are available to get your grooves going - swing and waveshape info are stored within the pattern, and chain patterns into songs!